SAN DIEGO Saints quarterback Drew Brees and his foundation are suing one of the former organizers of his celebrity golf tournament in southern California, saying the organizer cheated benefactors of the foundation out of thousands of dollars he kept for his own marketing firm. Now Brees wants his representatives to audit ISM's books from the past three tournaments to which he lent his name. Miller said he has not seen Brees' lawsuit and cannot comment other than to point out that Brees failed to uphold his end of their marketing deal and that counter-claims are forthcoming. "ISM will review that complaint and, when required, will be filing a counterclaim setting forth the acts and conduct of Mr. Brees and his agents that constitute breach of contract and misappropriation," Miller said. Brees has been advised by attorneys not to comment on the case at this time. 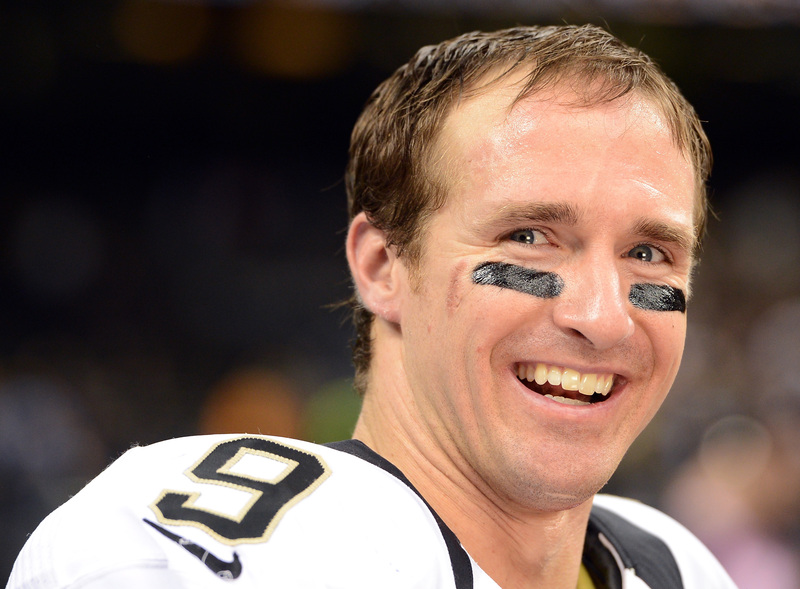 However, one of his lawyers, James Bo Pearl, said "The reputation and goodwill of Drew and Brittany Brees are inextricably intertwined with the foundation, and this lawsuit was filed to protect the good work the foundation is doing." "The foundation placed its wholesale trust in ISM, but the company's failure to abide by the terms of their agreements made litigation unavoidable," Pearl added. In addition to the ability to audit ISM's books concerning the golf event, the Brees Dream lawsuit asks for the return of ISM's profits plus punitive damages. Drew Brees has said in past interviews about his foundation work that virtually all of the money taken in goes directly to the charities that benefit, with negligible, if any amounts kept to cover costs. Brees and his wife take no salary from the foundation, nor does the marketing agent who helps them run it. The foundation says it has donated more than $13 million to charitable causes and academic institutions, usually to the benefit of cancer patients, cancer research and to improve the lives of children or families in need. ISM has run the golf outing for 14 years, with former NFL quarterback Stan Humphries acting as honorary host the first 10. ISM asked Brees to lend his name to the event in 2009, and the event has benefited Rady Children's Hospital-San Diego, Friends of Scott Foundation and the San Diego Armed Services YMCA. Carol Damon-Sherer, interim executive director of the Rady Children's Hospital Foundation, said her organization values its relationship with the Breeses, who have often visited the hospital bearing gifts for children there. "We value their support," she said, adding that the hospital also has a good relationship with ISM. "Both entities have been supportive of Rady Children's Hospital for many years," she said. "I'm sorry the folks have a difference of opinion. I don't know what the circumstances are. That's between them." Last month, Brees told CBS News' special "Person To Person" that his foundation would commit $1 million to help with Hurricane Sandy relief efforts in the Northeast. "We want to be able to give back what's been given to us," Drew Brees tells co-hosts Charlie Rose and Lara Logan on "Person To Person." The couple also say their foundation will infuse $2 million into the New Orleans community before the Super Bowl in February.